Muscadine Products Corporation (MPC) was born out of Jacob Paulk’s vision to add value to his and others’ health by creating healthy products from some of his muscadines not being sold to supermarkets. What started out as an idea in his kitchen has grown into an enterprise based in the middle of the world’s largest muscadine vineyard. We’ve worked with some of the largest and innovative brands in the juice, wine, natural products, and dietary supplement marketplace. Georgia is our home, and muscadines are what we grow, but we’ve worked with fruits and friends around the world. We are proud to help others add value to what matters most. Jacob Paulk first planted commercially-grown muscadines in 1970. 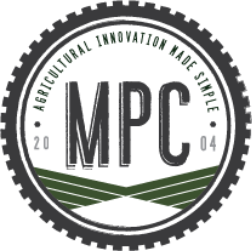 MPC, a family-owned business, was born out of his innovative spirit and continues to build on his legacy. Muscadine grapes, America's native grapes, have been shown to contain one of the highest levels of total antioxidants and ellagic acid of any fruit tested. Recent research at the University of Georgia's Nutraceuticals Research Laboratory and other collaborating universities shows that muscadine grapes have a higher phenolic content than many other types of fruits and grapes with extremely high levels of flavonoids, anthocyanins, and flavonols. Because of these rich phytochemicals, muscadine grapes have been shown to help combat free radicals and possess powerful anti-inflammatory bioactivities benefiting cardiovascular and digestive health and relieving muscular and joint pains. For more information and links to research on muscadines, check out muscadines.com, an online resource for all things muscadine. MPC's line of muscadine grape products are available as finished products or as standardized ingredients to companies who wish to offer the powerful phytochemical composition found only in the muscadine grapes in their finished products for the cosmetics, functional foods, dietary supplements, and botanicals industries. Honor God, serve others, pursue excellence, and grow profitably. Help you add value to what matters most. Be your first and last call when you think of muscadines. Be your source of healthy, natural products for people hoping to live a healthy, natural life. MPC offers services that are difficult to find in the southeastern United States. MPC's state-of-the-art equipment enables us to process your product to your specifications.